This collection pays tribute to the art and craft of marquetry, combining 2 types of wood. 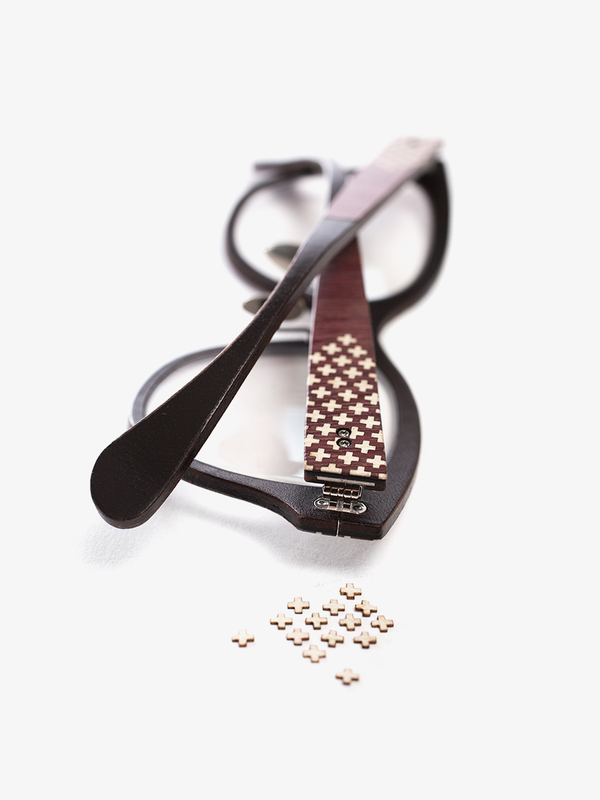 The outside of the spectacle in walnut or amaranth is meticulously hemstitched. Thin maple wood cross are then inserted in order to create a decorative and geometric pattern.